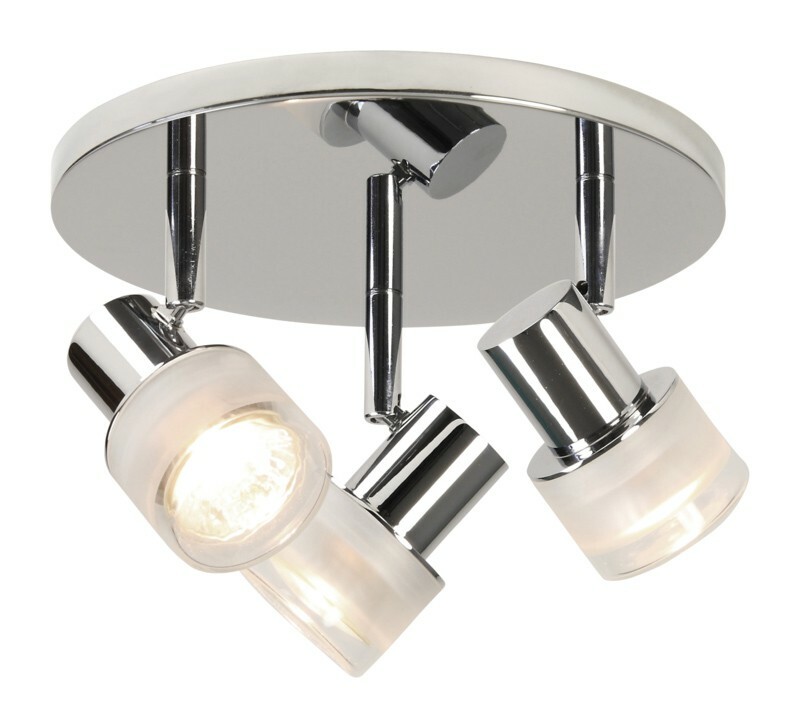 Featuring a polished chrome finish, this three-light circular ceiling mounted spotlight lighting fixture is sleek, attractive and durable for any room in your home. The frosted cylindrical glass bathes your home in elegant and romantically soft lighting which will illuminate every corner of your room. All three spotlights on this ceiling light fixture are amiable to ensure your room's lighting requirements are being met. Additionally, the three 35 watt GU10 lamps (Not included) provide powerful and true lighting. This is a practical solution for your kitchen, lounge room or bathroom (IP44 rated)¬†lighting needs and is a ceiling mounted spotlight fixture will be the perfect fit for any room in your home.